Sapat’s Ayusas is amongst the best cough syrups in the market. Its non-narcotic, non-alcoholic formula provides safe, quick, and much-needed relief from sore throat, bronchitis, cough and more. The anti-allergic properties of the syrup suppress harmful antibody reactions and fight antigens. Ayusas is the ultimate Ayurvedic solution for the entire family; you may administer it to your children without fear. 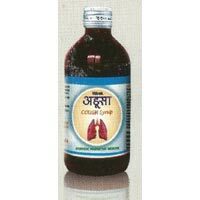 Parth ADULSA COUGH SYRUP (Herbal Cough Syrup). 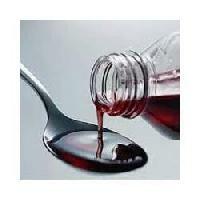 These syrups effectively controls dry cough and smoothens the respiratory mucosa. 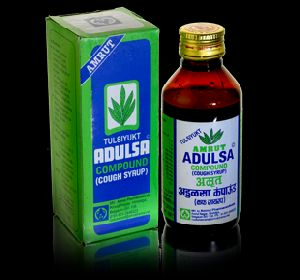 Our ADULSA COUGH SYRUP (Herbal Cough Syrup) is formulated in accordance with the international standards using optimum quality of herbs. Furthermore our cough syrups are appreciated in the market for their purity, accurate composition and longer shelf life. A safe cough syrup. An ideal, harmless Ayurvedic cough remedy for infants, children and adults. 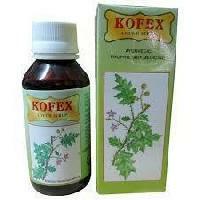 Indications : Very effective in all kinds of cough-wet &dry Asthmatic cough, Smoker's cough. Because of the smoothing effect it helps normal breathing, soothes throat, reduces spasms, absolutely free of the side effects. Presentation : 110ml. & 450ml. pet bottle. adulsa syrup Kidicof+ is an herbal cough syrup with Adulsa and Tulsi that provides relief from irritating cough with ease. 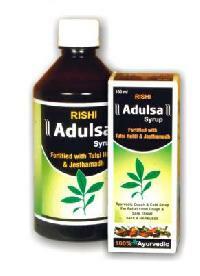 We are offering adulsa syrup, vasa syrup, vasika use for cough.